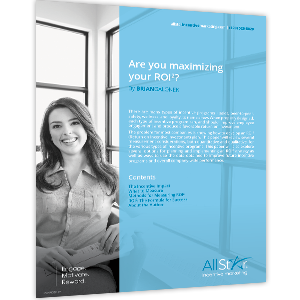 White Paper - Are You Maximizing Your ROI2? Are you maximizing your ROI2? There are many types of incentive programs – sales, peer-to-peer, safety, and loyalty, to name a few. When properly designed, each type of incentive program can, and should, produce a favorable return on investment.